The trial of Jason Van Dyke, the former Chicago police officer convicted in the 2014 fatal shooting of 17-year-old Laquan McDonald, may be over for now. But the fight, involving the Reporters Committee for Freedom of the Press and a group of media organizations, continues for access to court records in the case. From the beginning, journalists had to fight for information about Van Dyke and the shooting. But the dogged efforts of independent journalists Jamie Kalven and Brandon Smith eventually led to the release of crucial information about how McDonald died and how the city and police department responded to the shooting. Kalven obtained McDonald’s autopsy report through a request filed under the Illinois Freedom of Information Act. The document revealed information that contradicted the Chicago Police Department’s account of the incident. Following Kalven’s reporting, Smith filed a lawsuit that forced the city to release police body camera footage of the shooting, which showed McDonald was walking away from officers — not toward them, as police had reported — when Van Dyke shot him 16 times. The information brought to light by these two journalists, and others, led to charges against Van Dyke — the first Chicago police officer in half a century to be convicted of murder for an on-duty shooting. Even so, the lead-up to the trial suffered from a lack of access to court records that would have helped inform the public about the case. As a general matter, court documents are presumptively open to the public. Before they are sealed, a judge must outline specific and compelling reasons why they should be kept secret. This standard of openness helps ensure news outlets can access information to keep the public informed about what courts are doing and inspires public confidence in the judicial process. In the Van Dyke case, however, the public’s right to access court records and proceedings was denied on multiple occasions. The Reporters Committee and a group of 18 media organizations initially became involved in the Van Dyke case to help quash a subpoena that could have required Kalven to testify about his confidential sources for his reporting on the shooting. It was only after counsel for the Reporters Committee tried to obtain court records at the county clerk’s office and was told that filings in the case weren’t publicly available that the Reporters Committee became aware of the broader access issues at hand. One of the most egregious violations of transparency in the case was the lack of a complete public docket — a list of documents filed in a legal matter — for the first two years of the case. Dockets are both a routine practice and a crucial mechanism of judicial openness. “Because docket sheets provide a map of the proceedings in the underlying cases, their availability greatly enhances the appearance of fairness. They have also been used to reveal potential judicial biases or conflicts of interest,” wrote Judge Robert A. Katzmann in a 2nd Circuit Court of Appeals opinion supporting public dockets. 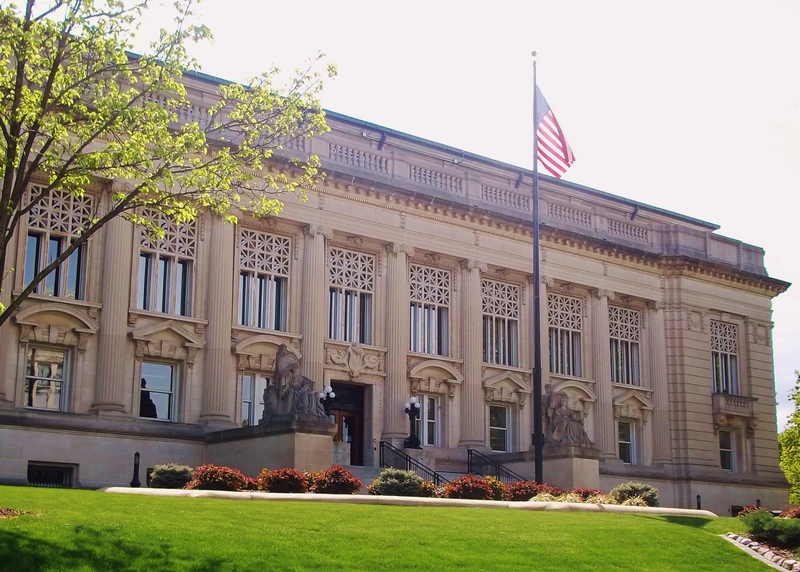 The deficient docket was the result of Cook County Judge Vincent Gaughan’s requirement that all documents in the case be filed in his courtroom instead of the clerk’s office, a practice that effectively sealed the documents. In response, the Reporters Committee and a coalition of news organizations — including Chicago Public Media, WGN Continental Broadcasting Company, WFLD Fox 32 Chicago, the Associated Press, WLS Television, the Chicago Tribune and Sun-Times Media — began filing motions opposing the sealing of these documents. The courtroom was also closed to the public for some hearings. Judge Gaughan did agree to release transcripts of some of the hearings when the courtroom was closed, but hasn’t done so yet. However, relying only on these records alone raises concerns. In one instance during the case, Judge Gaughan ordered a court stenographer not to transcribe part of a hearing. Most recently, in a July ruling that the Reporters Committee called “a wholly unprecedented and unlawful order,” Judge Gaughan barred media coalition attorney Gabriel A. Fuentes from speaking in court for the rest of the case, claiming he had interrupted court proceedings too frequently. In fact, those instances were occasions in which Fuentes was arguing against the improper sealing of records in the case. In a second motion filed with the Illinois Supreme Court, the media coalition argued that the gag order hampered its “ability to advance the public’s interests in openness in this important case.” Reporters Committee Communications Director Jenn Topper told the Chicago Tribune in July that it was “deeply troubling” that Judge Gaughan prevented Fuentes from arguing for increased transparency that would have allowed the people of Chicago to know what was happening in their courtroom. Andy Grimm, a reporter for the Chicago Sun-Times, said the Van Dyke case was one of the most secretive he had ever covered. Although Grimm said he doesn’t think sealed documents caused reporters to miss out on key stories, he said the lack of access made it more difficult to cover the case. “Certainly day-to-day, it could be very difficult for us to try to figure out what was going on because [the parties] would be in open court discussing motions that we hadn’t been able to see,” he explained. Only in April, after the Reporters Committee and media coalition joined the Van Dyke case as intervenors and argued for access, did the court create a public docket. The coalition also successfully appealed to the Illinois Supreme Court, which issued an order for documents to be filed with the clerk’s office and not with Judge Gaughan only. However, after the state Supreme Court’s order, Judge Gaughan created a new procedure in which both parties had to be given a chance to request that documents be sealed before they were filed publicly with the clerk. This meant filings were kept secret by default, sometimes for weeks, without even a motion to seal being filed. Judge Gaughan ruled on the underlying issues outlined in the sealed documents without first ruling on requests to make them public. The coalition challenged this practice, among others, by submitting another motion to the Illinois Supreme Court. The court dismissed the motion, however, because two judges recused themselves and the court was not able to reach the required consensus of at least four judges. The coalition also challenged the continued sealing of court records throughout the case, securing the release of more than 70 of about 110 documents that had been filed as of spring 2018. In a trial that drew significant public scrutiny, the documents provided crucial information about how both sides were litigating their case. For example, one released document included accusations by Van Dyke’s lawyers that he had been “sacrificed to appease the angry horde,” as Chicago Mayor Rahm Emanuel and then-State’s Attorney Anita Alvarez were in the midst of “bitter re-election campaigns.” Another document revealed that Van Dyke’s attorneys wanted access to all communications between the Cook County State’s Attorney’s Office and Kane County State’s Attorney, who served as the special prosecutor in the case. Judge Gaughan also later unsealed a motion by the defense requesting that the trial be moved from Cook County. Kalven, the journalist whose reporting questioned the official account of the shooting, said he sees a stark contrast between how access was handled before and during the trial. Kalven noted that while it was extremely problematic that so many documents were sealed in the run-up to the trial, the trial itself was much more open. Though the trial ended in October, many court documents in the case remain under seal — including two defense motions to dismiss the charges against Van Dyke, alleging prosecutorial misconduct by Alvarez. Judge Gaughan ruled that those motions should be kept secret because he believed the accusations were unfounded and would harm Alvarez’s reputation. However, this rationale contradicts an Illinois Supreme Court ruling that held neither embarrassment nor reputational harm are legitimate reasons for sealing court records. In a motion calling for the release of the records, the coalition further explained that because these motions to dismiss, if granted, could have ended the entire case, there was a particularly compelling public interest in unsealing them. Documents containing references to grand jury materials and records with statements made by officers during the CPD’s investigation of the shooting also remain sealed. The coalition argued that sealing these documents in their entirety is overly broad and has proposed that the court redact grand jury material references and officer statements from the filings while releasing the remainder of the information. In addition, a defense motion to submit as evidence allegations of violent behavior by McDonald remains secret. The coalition submitted a motion on Oct. 26 to unseal all court records that remain secret in the case. In the brief, the coalition wrote that releasing the sealed documents to the public would “increase transparency in a case of significant public interest.” However, in a hearing on Oct. 31, Judge Gaughan said he will push the decision on whether to release the sealed documents until after Van Dyke’s sentencing. No date has been set yet, but Judge Gaughan has indicated that sentencing will likely take place in December after post-trial motions are decided. Update: On March 20, Judge Gaughan agreed to release 89 of the 110 documents in this case. The order was entered on April 10. It remains unclear if he will rule on whether to unseal the remaining 21 documents. The Van Dyke case isn’t the only example of court secrecy in the Chicago area. Journalists have also run into access issues in a related case where three Chicago police officers — David March, Joseph Walsh and Thomas Gaffney — are facing charges of obstruction of justice, conspiracy and official misconduct for allegedly obstructing the investigation into McDonald’s death. The Reporters Committee and media coalition also joined this case as intervenors to argue for the release of sealed documents. Following a motion from the media coalition to unseal records in the case in July, Cook County Judge Domenica Stephenson unsealed court filings about how much taxpayer money is being spent to pay prosecutors in the case. The prosecutor’s motion to admit co-conspirator hearsay testimony at trial, along with related briefing, was also unsealed. At an Oct. 30 hearing, Judge Stephenson also unsealed a defense motion to dismiss the case, which alleged prosecutorial misconduct, as well as the prosecution’s response arguing there was no such evidence and the defense’s reply. Despite a general presumptive right of access to court records, obtaining documents in both of these cases has required numerous briefs from the media coalition since March, illustrating the level of effort that is often required of the press and public to combat access issues in Chicago-area courts. Grimm said it can be difficult to challenge the sealing of records in Cook County. Still, even though there were pre-trial access issues in the Van Dyke case and others in Cook County, Kalven said he was encouraged by the level of public engagement with the trial and viewed this citizen participation as a First Amendment victory. “There was something kind of heartening [about being] part of a process with such consequences for the city in which evidence was being closely weighed and being talked about all the time,” he said. To receive updates on this case and cases like this, subscribe to our monthly newsletter.